Thank you for your enquiry. We will contact you soon. Fail to submit, please try again. Time 07:00 a.m. 07:15 a.m. 07:30 a.m. 07:45 a.m. 08:00 a.m. 08:15 a.m. 08:30 a.m. 08:45 a.m. 09:00 a.m. 09:15 a.m. 09:30 a.m. 09:45 a.m. 10:00 a.m. 10:15 a.m. 10:30 a.m. 10:45 a.m. 11:00 a.m. 11:15 a.m. 11:30 a.m. 11:45 a.m. 12:00 p.m. 12:15 p.m. 12:30 p.m. 12:45 p.m. 01:00 p.m. 01:15 p.m. 01:30 p.m. 01:45 p.m. 02:00 p.m. 02:15 p.m. 02:30 p.m. 02:45 p.m. 03:00 p.m. 03:15 p.m. 03:30 p.m. 03:45 p.m. 04:00 p.m. 04:15 p.m. 04:30 p.m. 04:45 p.m. 05:00 p.m. 05:15 p.m. 05:30 p.m. 05:45 p.m. 06:00 p.m. 06:15 p.m. 06:30 p.m. 06:45 p.m. 07:00 p.m. 07:15 p.m. 07:30 p.m. 07:45 p.m. 08:00 p.m. 08:15 p.m. 08:30 p.m. 08:45 p.m. 09:00 p.m. 09:15 p.m. 09:30 p.m. 09:45 p.m. 10:00 p.m. 10:15 p.m. 10:30 p.m. 10:45 p.m. Ocean Park, situated on the southern side of Hong Kong Island, is Hong Kong's premier educational theme park. There's 2 major attractions area in the park, the Waterfront and the Summit which are connected by the Cable Car and Ocean Express funicular train. Aims to provide elements of entertainment, education and conservation to public, the park features a diverse selection of world-class animal attractions, thrill rides and shows. Featured attractions include Amazing Asian Animals, Marine World, Whiskers Harbour, Aqua City, Rainforest, Thrill Mountain & Polar Adventure. It take about 30 minutes from The Cityview to Ocean Park by MTR. 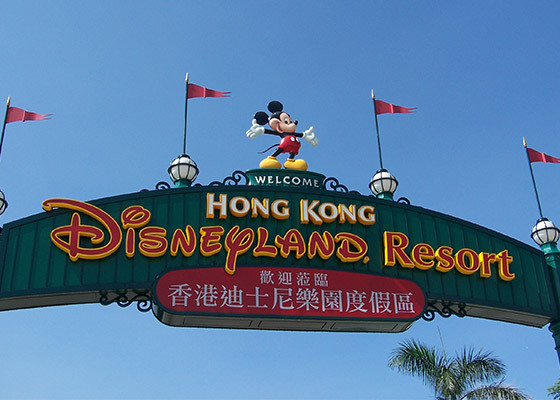 Hong Kong Disneyland is one of the top attractions in the region. You can explore more than 100 attractions which filled with beauty, excitement and Disney Characters. About 50 minutes from The Cityview to Hong Kong Disneyland by MTR. The Avenue of Stars pays tribute to Hong Kong's movie industry. You can take a photo with Bruce Lee and Anita Mui’s statues and take a “journey to the stars”. About 20 minutes from The Cityview to Avenue of Star.